This is another great article by my friend discussing what it means to live in vulnerability before God, rather than trying to control God. In the midst of this, we ask what it looks like for the Church to be part of the Kingdom that God is enacting and embodying Jesus, which goes to those who are outsiders in the larger culture. It is Good Friday. That is a somewhat strange title for such a gruesome day. After all, it is on this day that we are reminded that God was not the one demanding the cross, we were. On this day we stood in the crowd and told Pilate: “You are no friend of Ceasar’s if you let this man go.” Even as Pilate returned from questioning Jesus and said he found no fault with the man, we were not satisfied. We yelled, “We have no king but Ceasar! Crucify Jesus! Crucify him! Crucify him! We demanded that a life be taken. 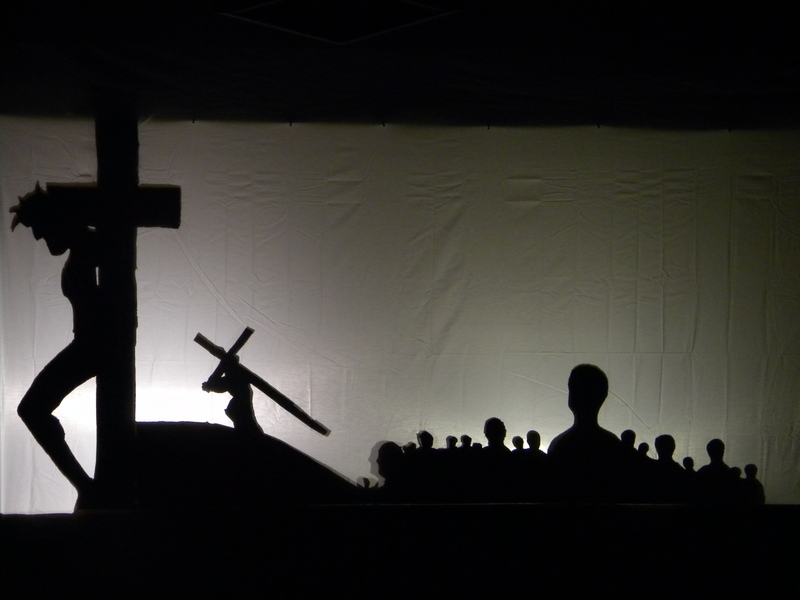 Remember the night of Jesus betrayal? In that “Last Supper” with his disciples, Jesus took the bread and after giving thanks, he broke it, saying, “This is my body…” Likewise, he took the cup and blessed it, saying, “This is my blood…” It is only with time that the disciples begin to better understand that God’s taking on flesh through Jesus, God’s participation with humanity, paves the way for our participation with God. His flesh sanctifies our flesh. His life becomes our life. In Christ, God becomes accustomed to “tabernacling” with humanity and humanity becomes accustomed to living with God. The cross becomes the means by which God demonstrates God’s unfailing love for the whole of creation. It is the tangible action showing God is willing to go to the very depths of hell to save all of Creation. God received our violence while pouring out his grace. In the final moments on the cross, Jesus prayed, “Father, forgive them for they know not what they do.” By the tree in the Garden of Gethsemane, sin and death entered this world. By the second tree, the cross, sin and death have been conquered. Christ became sin for us so that we might become the righteousness of God (2 Cor. 5:21). Reconciliation. Redemption, Recapitulation. With his last breath, Jesus “gave up his spirit.” At this moment, the veil that separated the Holy of Holies was torn in two. The earth shook and the rocks split. Everything that had once seemed so sure, so rock-solid… everything was shaken to the core. Sin, the means by which we live for ourselves, secure our desires, and maintain “control” – shaken. Enmity between humanity and God – shaken. Our inability to live obediently as God’s people – shaken. Death, the bedrock of all we know – shaken! All these things had given way to a more solid reality: God’s Love. “For while we were still weak, at the right time Christ died for the ungodly. 7 Indeed, rarely will anyone die for a righteous person—though perhaps for a good person someone might actually dare to die. 8 But God proves his love for us in that while we still were sinners Christ died for us. 9 Much more surely then, now that we have been justified by his blood, will we be saved through him from the punishment of God. 10 For if while we were enemies, we were reconciled to God through the death of his Son, much more surely, having been reconciled, will we be saved by his life. 11 But more than that, we even boast in God through our Lord Jesus Christ, through whom we have now received reconciliation. 12 Therefore, just as sin came into the world through one man, and death came through sin, and so death spread to all because all have sinned—For if the many died through the one man’s trespass, much more surely have the grace of God and the free gift in the grace of the one man, Jesus Christ, abounded for the many. 16 And the free gift is not like the effect of the one man’s sin. For the judgment following one trespass brought condemnation, but the free gift following many trespasses brings justification. 17 If, because of the one man’s trespass, death exercised dominion through that one, much more surely will those who receive the abundance of grace and the free gift of righteousness exercise dominion in life through the one man, Jesus Christ. 18 Therefore just as one man’s trespass led to condemnation for all, so one man’s act of righteousness leads to justification and life for all. 19 For just as by the one man’s disobedience the many were made sinners, so by the one man’s obedience the many will be made righteous. 20 But law came in, with the result that the trespass multiplied; but where sin increased, grace abounded all the more, 21 so that, just as sin exercised dominion in death, so grace might also exercise dominion through justification leading to eternal life through Jesus Christ our Lord” (Romans 5: 6-11;15b-21). “Irenaeus on the Christian Faith: A Condensation of Against Heresies” by James Payton, Jr.
James Payton’s purpose in writing this book is to make Irenaeus’ Against Heresies more accessible and less cumbersome to engage. His primary method for achieving this end is shortening Books 1 and 2, which sets out the Gnostic doctrine as it is taught. Although large sections are removed from these two books, enough is left to provide a brief and succinct overview of the Gnostic thought and Irenaeus’ primary objections to it. Payton does a good job of maintaining the key ideas in Irenaeus’ assessment of the Gnostics while presenting an abridged version. 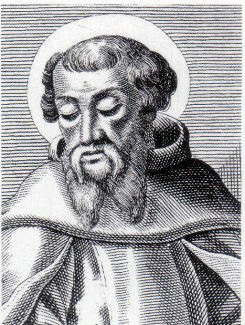 Irenaeus is often described as a polemical figure. Undoubtedly, he tackles the Gnostic problem head on without much reservation. However, it should be noted, by Irenaeus’ own words, that this is not the primary motivation. Irenaeus is polemical only in the sense that he is trying to preserve something. Irenaeus describes the situation with his opponents as such: “This is how the adversaries with whom we have to deal act: like slippery serpents, they try to escape at all points. Consequently, they need to be opposed at all points, so that possibly, by cutting off their retreat, we may succeed in turning them back to the truth” (57). The preservation and proclamation of the Truth is at the heart of Irenaeus’ purpose in writing. As such, he hopes that by writing even the Gnostics might come to know Truth that has been handed down from Christ to the apostles for the Church. After reading the way that Irenaeus re-orients the Old Testament in light of Christ, I find John Lawson’s categories for Irenaeus untenable. Lawson states that Irenaeus did not know or adequately comprehend the history behind the Old Testament. However, I believe that Irenaeus has a rich understanding of the Old Testament, which he reads in light of Christ. He does not read the Old Testament in isolation from its preparation for Christ. Thus, the importance does not sit upon the historical context but on the way that Christ fulfills and completes that which is in the Old Testament. For instance, Irenaeus re-functions the Old Testament texts that talk about swords being beaten into plowshares to bring about a fuller comprehension of the cross. An instrument intended for violence becomes God’s instrument of peace through which the harvest of the eschaton will be gathered. Irenaeus does not ignore the historical context but says that the purpose is realized in Christ. This is essential for Irenaeus’ argument against Gnosticism. After all, Irenaeus wants to maintain the continuity between Jesus and the Creator God of the Old Testament. What better way to do that than showing how Christ corrects and fulfills the Law and the Prophets. Irenaeus is not allegorizing every Scripture and twisting it. Rather, his exegesis is quite stunning in many respects. For instance, Irenaeus employs the stories of the patriarchs in appropriate ways to the promised hope that is embodied in Jesus. Recapitulation or ontic participation is scattered all throughout Irenaeus’ writings. Although they are slightly different, they cannot be separated from one another. Christ takes on the fullness of humanity so that through Christ humanity might enjoy all of God. Jesus becomes the second Adam by treading the same ground that Adam tread but was found obedient, even unto death. And, it is through Christ’s obedience that we see the fullest intentions and purpose of humanity! We are able, at every stage, to see what it means to be a fully mature human: Christ! In this way, Christ is the exemplar of what it means to participate in the very life of God. In fact, Irenaeus states: “The glory of God is a human being fully alive” (116). The main purpose for Irenaeus in salvation or recapitulation is that humanity might finally achieve its end: “join[ing] the end to the beginning – that is, humanity to God” (114). He also views ontic participation as a relational ontology (to use modern vernacular), stating: “Without life it is impossible to live, and the means of life is found in fellowship with God. But fellowship with God is to know God and to enjoy his goodness” (115). And, this fellowship of love is demonstrated as obedience. Which highlights the value of Christ’s recapitulating obedience. Irenaeus’ concept of the Triune God working simultaneously and spontaneously together is intriguing. We can learn a lot from him here. In all ways, the Father, Son, and Spirit are working in unison and cooperation toward a common telos. There is not a true sense of hierarchy or modalism that pervades the Trinity. Instead, there is a relational mutuality that is inherent in God. Now, Irenaeus typically talks about the “Two Hands of God” (Son and Spirit, Word and Wisdom). However, by separating these out, Irenaeus only moves to put them back together again. There is a constant tension that shows the continuity of God both in the old covenant and the new covenant. As opposed to Gnostic thought, Irenaeus maintains that God is both God of Creation and God of salvation. In fact, it is only through this cooperation that God is fully revealed. He states, “God the Father was shown forth through all these operations, with the Spirit working and the Son ministering, while the Father was approving – and that salvation for humankind was being achieved” (115). This is important given the tension between God’s transcendence and immanence. Gnostics held that God could not truly be known and that the Pleroma were not God. Irenaeus maintains God’s transcendence but maintains that God can be known because of the Son and the Spirit. Most specifically, it is the Son’s flesh that reveals the invisible God in visible ways to humanity. This is a brilliant tactic in dispelling his opponents’ arguments. I particularly found Irenaeus’ concepts of recapitulation and ontic participation refreshing. His emphasis that the Incarnation was going to happen even before the Fall, not because of it, was powerful. The purpose of Creation from the beginning was to enjoy fellowship with God. This shapes the understanding of the cross in significant ways that push back on the penal substitution so popular in our churches. It pushes back on the Gnostic idea that Creation is bad and spirit is pure. And, it challenges our separation of Christ’s work from the purposes of the Creator. Our end is in our beginning. Creation is salvation and salvation is creation, because it is God that works both. There is a well known piece of Scripture about three guys named Shadrach, Meshach, and Abednego. We know the story well of how these three Jewish men stood up to the king and refused to bow to his idol, and were thrown into a furnace where Jesus goes back in time and saves them from burning to death. Then Nebuchadnezzar, having seen the miracle, becomes a follower of the one true God. Except I’m not so sure that’s what happened.